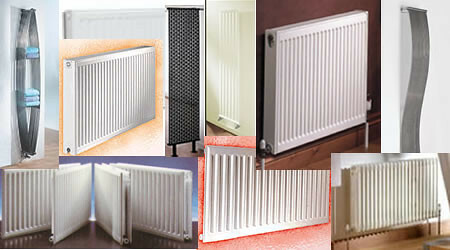 Essentially radiators are there to keep your house warm. That, you might think, is all there is to it. 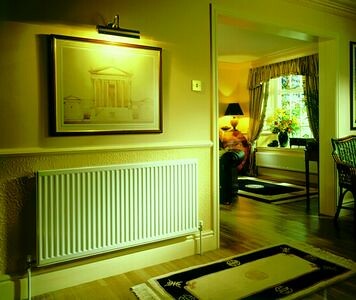 But there are a number of things you need to take into account when selecting radiators for your home. How big do they need to be and how do you work out the right size for your room? Where are you going to put them? What’s the best way to control temperature? 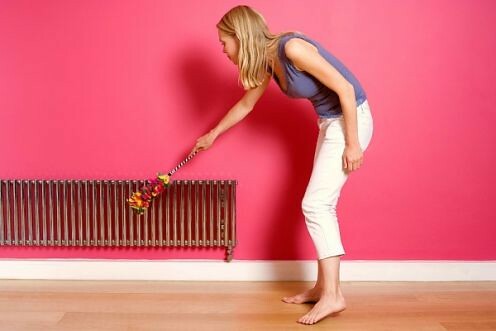 Unless you plan carefully, radiators can often get in the way of placing furniture, cause decorating problems and simply look unsightly. Many householders no doubt wish that their heating system could indeed ‘Fade Away and Radiate’ as Blondie sang in 1978. In the past, style hasn’t really come into the equation but these days it’s an important consideration. Many modern radiators can look good as well as being functional and there’s a plethora of shapes and sizes to choose from. You can opt for conventional white panel-type radiators or pick one of the many designer radiators now on the market which offer a stylish, fashionable look. These can become a focal point of the room and provide a conversation piece, as well as fulfilling their primary role of providing heat. 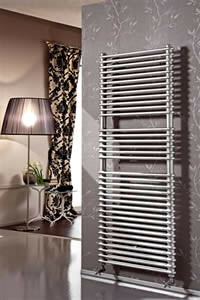 There are also specialist forms of radiator including heated towel rails for use in bathrooms. Whether you opt for a conventional style, a designer radiator or a special type such as a heated towel rail, you need to make sure that you specify the right size for your room. Radiator output is measured in British Thermal Units per Hour (BTU/H). Firstly, work out the volume of the room in cubic metres with the formula length x width x height. Multiply this figure by 153 and you’ll have a value in BTU/H. For example a room that’s 2m wide x 3m long x 2.5m high will give you a value of 2,295. You need to adjust this for various factors such as north facing walls or rooms with two outside walls by adding around 10% for each. You can deduct 10% for solid floors or insulated cavities. For bedrooms, which don’t need to be too hot, reduce the final value by 25%. 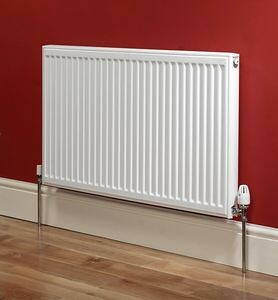 You can now look for radiators which offer the appropriate BTU/H value – this will be listed in the product specification. Some suppliers may quote their radiator outputs in Watts, in order to convert to this work out your BTU/H value as before then multiply the final figure by 0.293. The next step is to determine where you’re going to fit the radiators. Beneath windows is a popular location but you need to make sure that there’s enough height between the floor and the sill. The window is usually the coldest surface in the room so by having the radiator under it you prevent cold air from spilling down across the floor. Don’t cover the radiator with full length curtains though or you’ll encourage the heat into the gap between the window and the curtain and it won’t warm the room effectively. Other things to take into account are that you’ll need an isolating valve at each side of the radiator. This ensures that if it needs replacing it can be easily removed without the need to drain down the entire system. Fitting thermostatic valves allows you to control the temperature of each room individually. However, you should always leave at least one radiator in the system – usually the one nearest the room thermostat – without a thermostatic valve. This ensures that strain isn’t placed on the circulation pump when the thermostatic valves on the other radiators have shut down. Armed with this information you should be able to select the right radiators for your needs and ensure that they fit with your interior décor. Pay attention to the controls and you can help to save on your heating costs too. Whatever type of radiator you’re looking for, you’ll find The Plumb Store has a wide variety of options on offer plus all the extras you need.